Don't ya just love new things? A new outfit changes the way you walk. I recently cut my hair, and the new hair style still makes me smile and takes me by surprise when I catch a glimpse of myself in the mirror. Right now at our church, we are studying grace. Specifically, we are looking at Ephesians 2:1-10. This past Sunday we focused on verse 6. I've been a Christian since I was a little girl. That's a lot of years that Jesus has been revealing things to me. But Sunday morning, he knocked me back. I. Am. New. 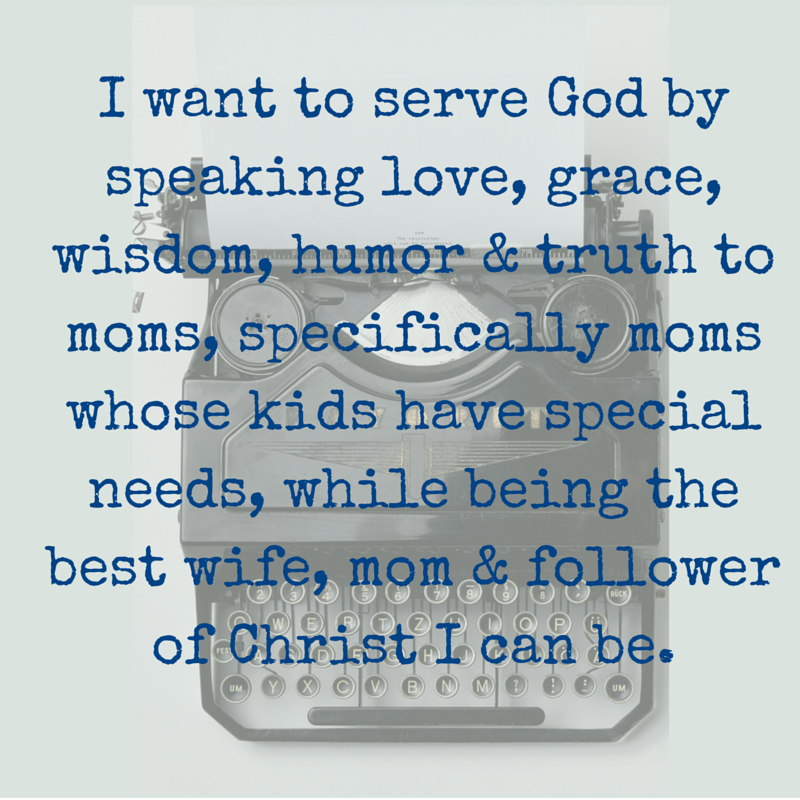 Lately, I've had the opportunity to do some writing for our KidsMin. I wrote a large group outline a couple of weeks ago. It did not freak me out. It was for kids. It was right in my wheel house. However, I was also asked to write a PrepTalk. We use PrepTalks for to give our volunteers some insights into that week's lesson. We're coming up on Easter so I wrote about Jesus' crucifixion. Oh mercy, that was intimidating. That's a biggie - the day our Lord gave himself for us. It's hard. It's painful. It's deep. I'm not going to lie. I was totally intimidated. Who was I to write about this? I have to theological background. What if I mess this up? I procrastinated writing it. It was due Monday and at a meeting Sunday night I asked "what does due Monday mean? Like close of business Monday or what?" I did not feel worthy to write the talk. "I'm so new at this writing business." Did you catch it? I didn't at first. I was concerned about being new. Bells went off in my head. "Ding-a-ling! You are new. 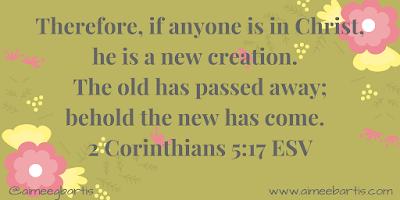 You have been made new in Christ!" What a gift!! I am new. Nothing about the old has stayed. 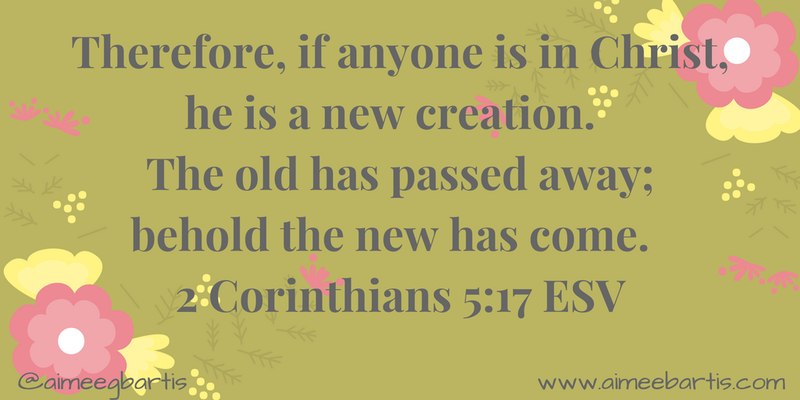 Christ has made everything new! He is making new every day! So even when my pride tells me I should have this all figured out, I am new.